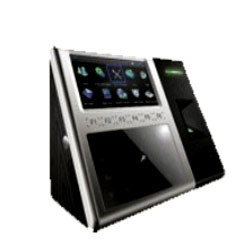 Our organization is counted amongst the most distinguished traders, suppliers and exporters of a vast array of Fingerprint & Card Based Time & Attendance System. This system also based on face recognition technology. To manufacture these products, our vendors employ latest machines and advanced technology. Moreover, customers can avail these reasonably priced systems from us in variegated specifications. Established in the year 2006, we, “Nitin Systems & Securities”,are an illustrious organization that is involved in trading, importing and exporting a wide assortment of Cameras, Attendance System and Other Security Devices. Our range of products encompasses Digital Camera, Network Video Recorder, Attendance System, Video Conferencing, GPS Tracking System, Guard Monitoring System and Navigation System. Also, we offer Metal Detector, Currency Counting Machine, Currency Verifier, Digital Video Recorder, Fiber Optic and Video Door Phone.